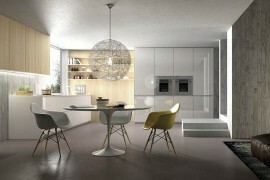 Design that is simple and uncomplicated is a lot harder to create than you might imagine! 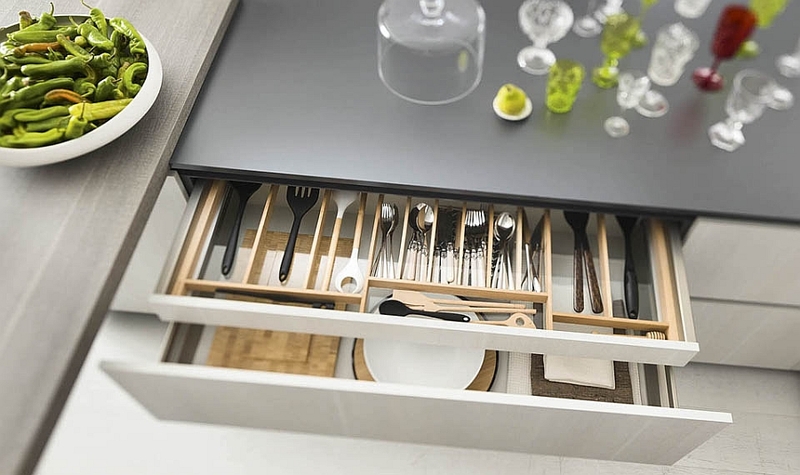 Just take a look around your house and you will realize that it is always tougher to take things away from an environment than to add new decor and accessories. 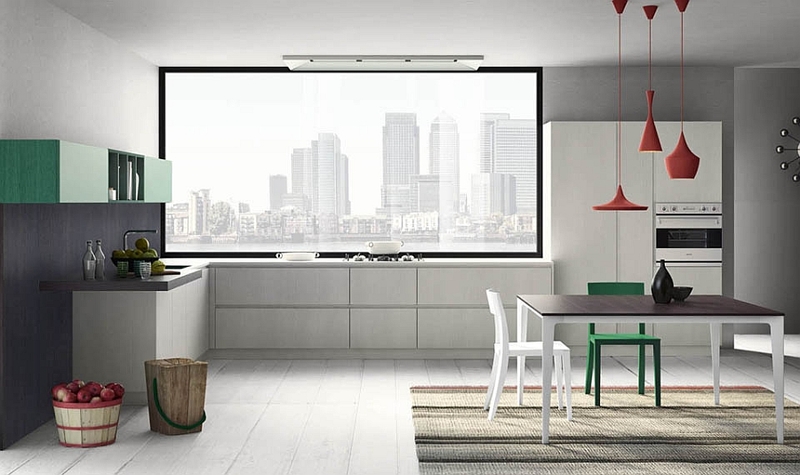 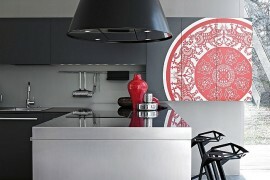 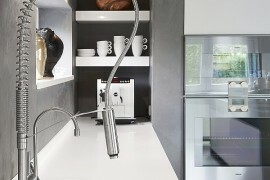 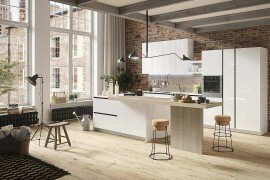 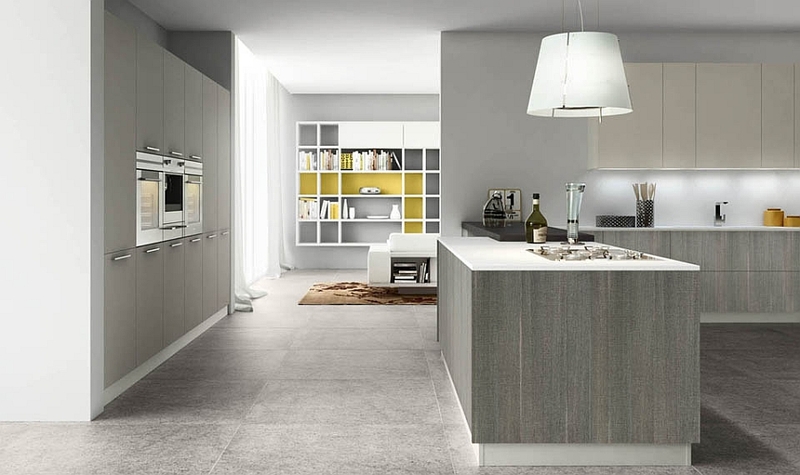 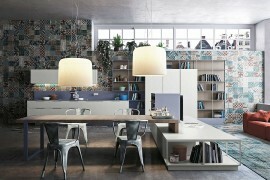 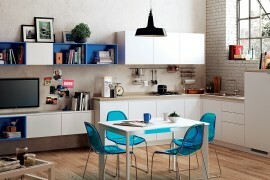 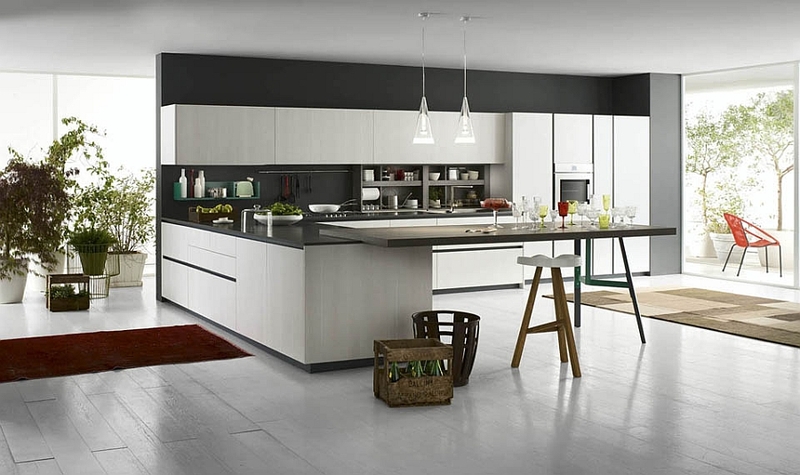 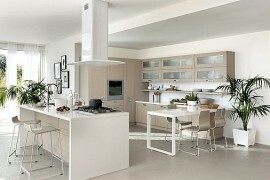 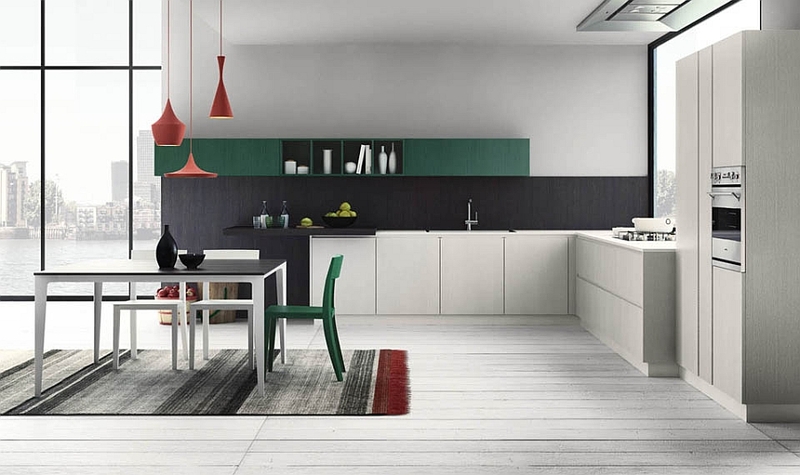 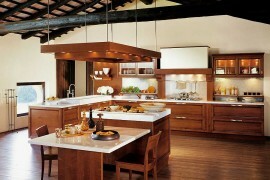 But giving your kitchen a trendy streamlined look that does away with the excesses is Grafica from Val Design. 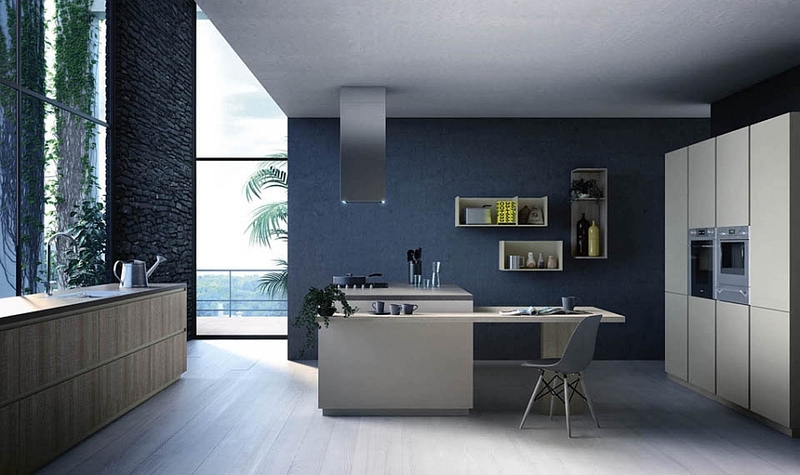 Crafted to promote a minimal lifestyle, this cutting-edge contemporary space is all about the effortless fusion of form, finesse and a healthy dose of practicality! 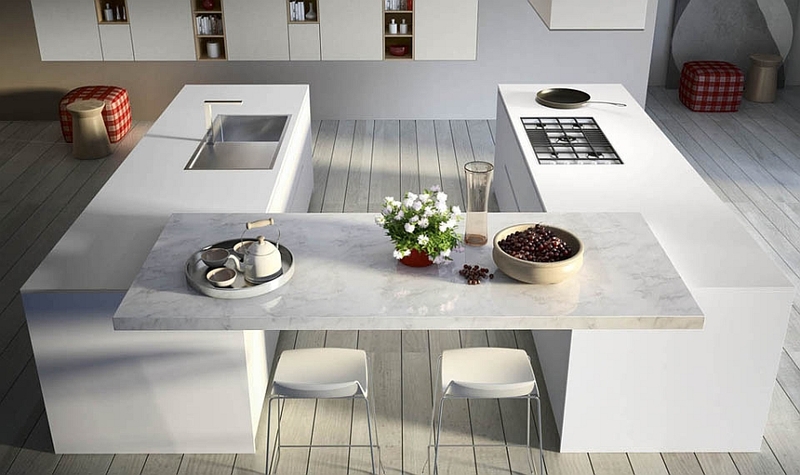 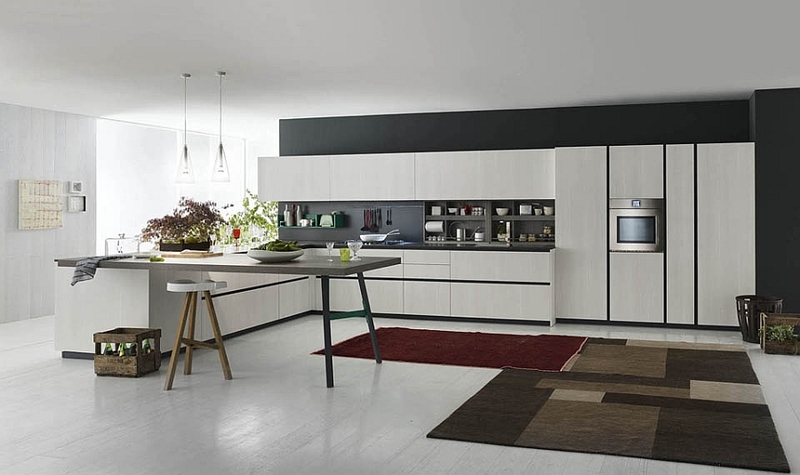 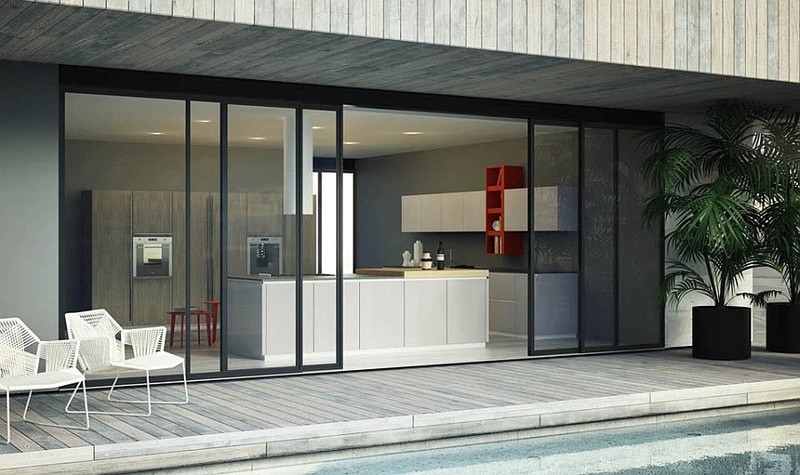 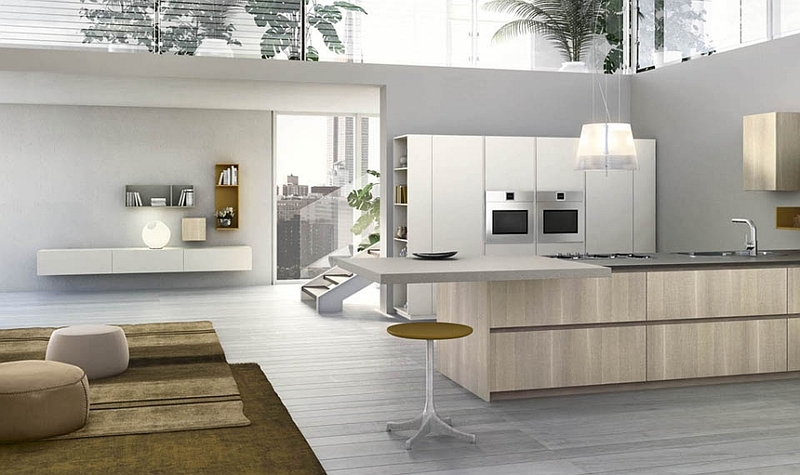 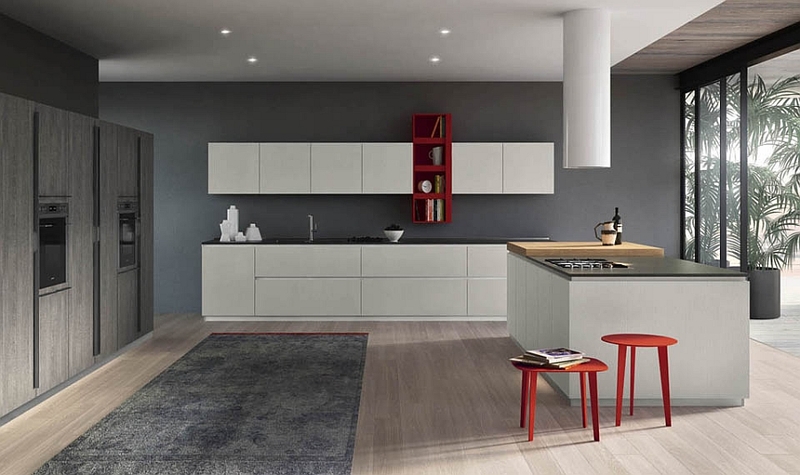 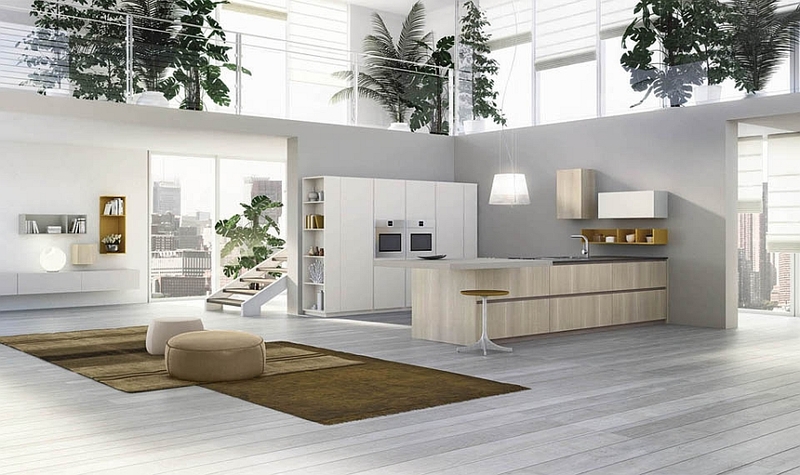 One of the defining features of the Grafica Series is the way in which each kitchen seems like a natural extension of the living space around it. 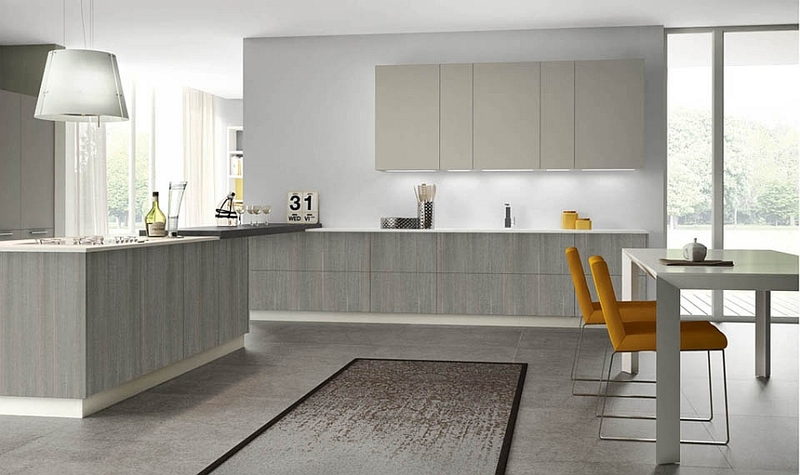 You can pick open shelves, closed cabinets, kitchen islands and countertops in a wide range of finishes and materials to accentuate and complement the style of the remainder of the home. 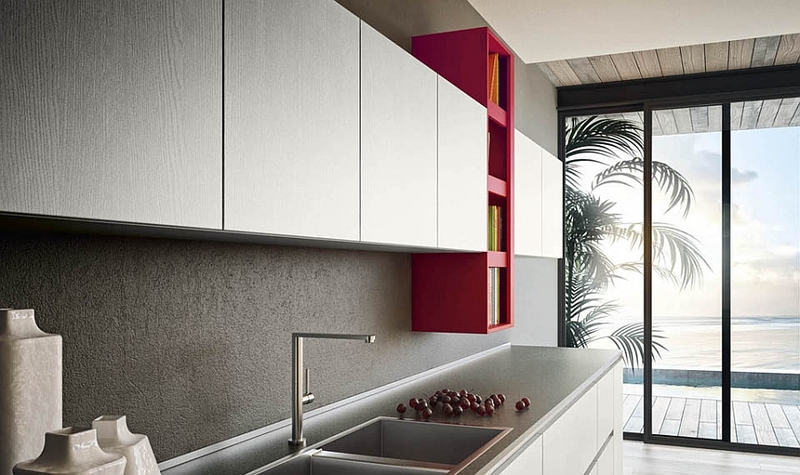 Irrespective of the composition that you choose, Grafica ushers in a sense of sleek sophistication thanks to the use of simple straight lines and cabinets that do away with any unnecessary frills. 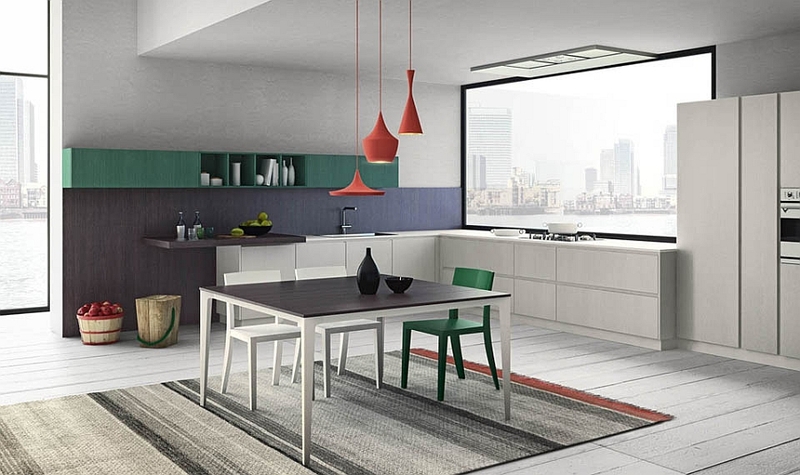 With wall-mounted floating shelves and snazzy islands that also double as breakfast stations, Grafica turns your kitchen into a fun social hub. 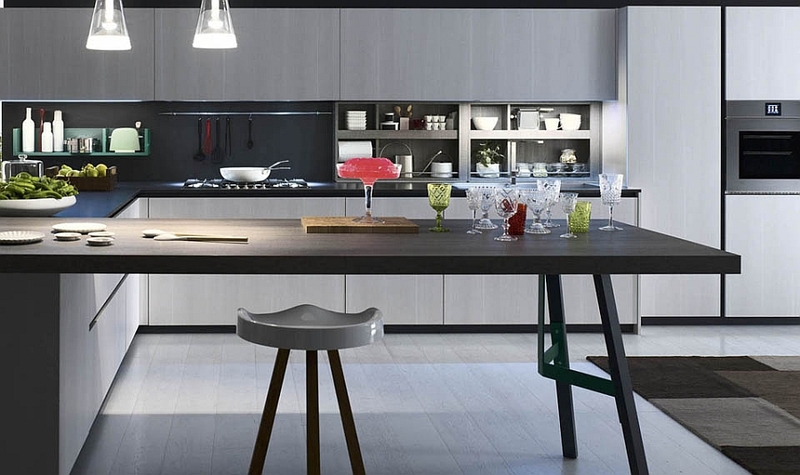 While most compositions in the series adopt a cool and understated look with neutral hues, one can add bright pops of color with the right bar stools and pendant lights to give the kitchen an exceptional and distinctive aura. 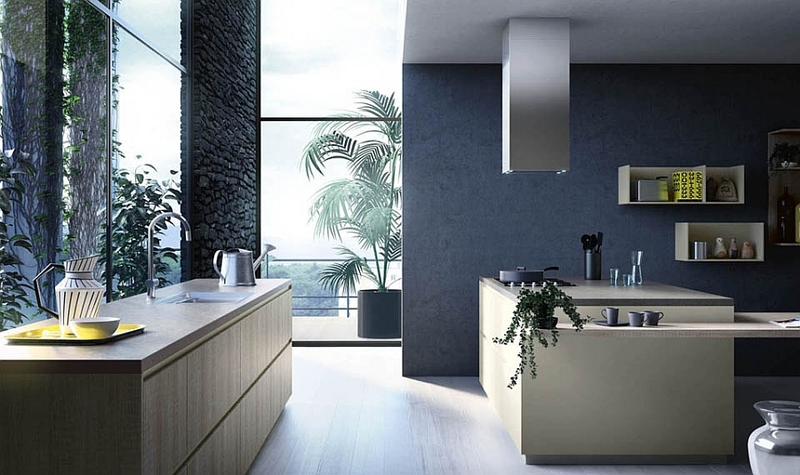 Textured finishes and glossy countertops further complete these resourceful kitchens while bringing in gorgeous visual contrast. 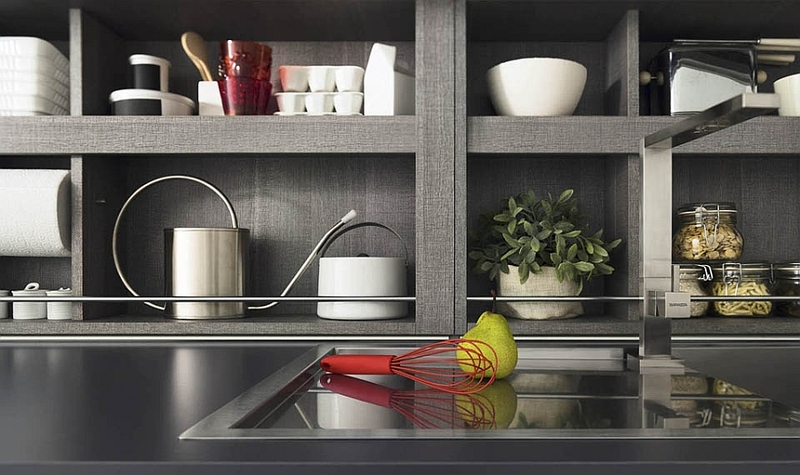 Are you tempted to remodel your kitchen?